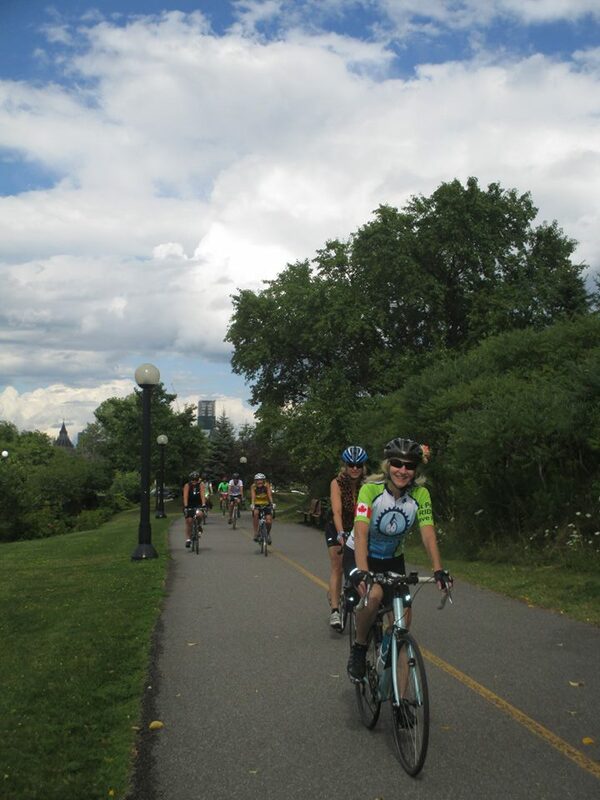 TBN (Toronto Bicycling Network) is the largest recreational cycling club in the GTA and offers plenty of cycling activities for riders of all levels. TBN offers both urban and rural rides on paved paths and roads. The urban rides start in the city and explore its many nooks and crannies. Rural rides explore the lovely countryside outside the city and allow participants to ride at a leisurely or fast pace. Some rides begin in the city and make their out into the country, typically via safer and less travelled roads. There are plenty of opportunities to chat on the ride, at refreshment stops, or at the post-ride get-togethers. Click here to learn more about our many and diverse ride categories and programs. TBN also organizes a variety of other activities, including overnight excursions, hiking, city walks, skating, spinning, educational sessions, and social events. TBN's annual premier event is Cyclon, which takes place over the August long weekend. This annual event draws over 200 TBN members, and many non-members, to a fully packed weekend of rides, dinners and other social activities. For one-day cycling rides, all one has to do is select the ride from the events page, download or print the route map, and arrive before departure time. Non-members can participate in one-day events for a fee of $5, which can then be applied towards our low cost membership, should you decide to join. All events are led by a trained TBN volunteer and some will guide you from start to finish. At cycling events, a ride leader confirms your membership status and leads the group out. Some provide a ‘sweep’ to ensure that no rider has difficulties or falls behind. Ticketed events such as overnight trips and the AGM dinner dance are discounted to members and require online registration and prepayment. All events can be found on this website, which is constantly being updated. You can join and gain access to the benefits of a TBN membership, or, as a non-member, we encourage you to subscribe to our bi-weekly "Chain of Events" email that is chock full of upcoming TBN events and other information of interest to all cyclists. Contact info@tbn.ca with any questions, and a volunteer will be happy to answer your questions and tell you more about TBN!